Situated in North Wales, on the border of Nefyn Bay, the Llyn Peninsula Cottages occupy a beautiful location. The properties on this site were originally farm buildings and have been converted into stylish and elegant holiday cottages. The cottages are decorated in a modern country style and are of exceptional quality. The interior is decorated in neutral tones with rustic features throughout such as exposed beams and stone walls. Every cottage has its own sea view across the magnificent coastal scenery and picturesque waters of Nefyn Bay. Nearby you can discover incredible beaches such as Whistling Sands, located only 30 minutes along the coast. The beach is well known for its wonderful surfing waves and impressive scenery. However, if you prefer mountain views to coastal views, head for Snowdon, the highest mountain in Wales. Discover secret coves, secluded beaches and incredible coastal scenery on the Llyn Peninsula. Our cottages are located on the edge of Nefyn Bay, right by the beach. Other nearby sandy gems include Porth Dinllaen and Whistling Sands. Bordered by one of the most beautiful mountain ranges in the UK, these cottages offer incredible views of distant Snowdonia. It’s just a short 30-minute scenic drive to enter the breathtakingly beautiful Snowdonia National Park. The accommodation here is beautifully appointed, with top of the range fixtures and fittings and a cosy but contemporary style. Some cottages include outdoor dining space with amazing ocean views. Most of our cottages on the Llyn Peninsula boast spectacular sea views. Many have glass balcony windows fitted allowing you to enjoy the breath-taking beauty of the North Wales coast. If you’re looking for ‘golf with a view’ we’ve got you covered. Nefyn golf course is just a 10-minute drive away, situated right on the coastline. Enjoy stunning sea views at every tee as well as distant views of Snowdon. Why Choose the Llyn Peninsula? Very rarely can you find the mix of coastal and mountainous terrain offered at Llyn Peninsula. As well as stunning views, the cottages themselves are of five-star quality with an incredible array of luxurious facilities and top-quality furniture. 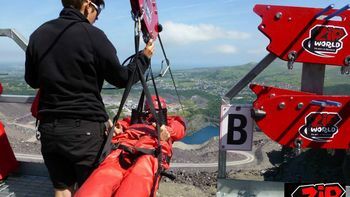 Want to explore Snowdon without the hard work? 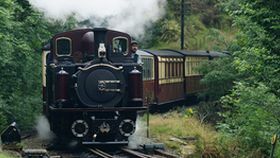 Take the Ffestiniog steam railway through the foothills of Snowdon and enjoy spectacular views. We’d highly recommend upgrading to the first-class service in the Pullman coach for a world class experience. 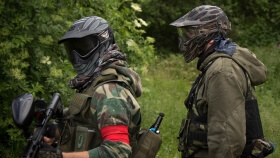 All kinds of outdoor activities await the whole family in this stunning Welsh woodland park, where you can try your hand at paintballing and segway-riding, and even take on the Bear Grylls Survival Challenge, for an action-packed day you'll never forget. 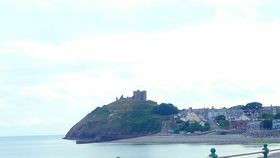 Criccieth Castle is balanced high up on the headland next to the sea. Much of the site in ruins but the main gatehouse towers remain standing. This highly contested castle was home to many occupants as it was greatly desired by both the Welsh and English monarchy. If you’re interested in history then Criccieth Castle is a must visit attraction. Cwrw Brewery is a small independent brewery producing ales and lagers for the local area in Nefyn. 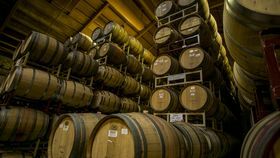 Head to the brewery for an interesting tour and afterwards an even more interesting tasting accompanied by cheese and good company. If you fancy a pub lunch on the beach, why not try Ty Coch Inn an award-winning pub situated in the pretty fishing village of Porthdillean? 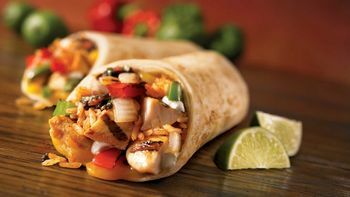 For something a bit different, head to Hafan Pwllheli Marina for Caribbean/Mexican cuisine at the trendy Pontoon restaurant. There are some great things to see and do whilst staying at the Llyn Peninsula. The coastal path is practically on the doorstep, perfect for exploring the coastal scenery and Snowdonia has a wealth of attractions including a mountain railway and the world’s longest zip wire! Golf is a popular activity for guests staying in this area. Cycling is also a popular way to see more of the beautiful scenery or explore the National Park. 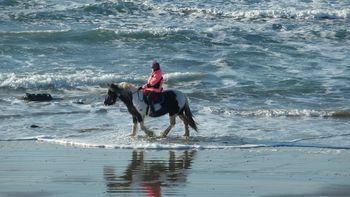 Watersports such as wake-boarding, sailing and water skiing can all be arranged locally as can a day of pony-trekking. Want to head somewhere special on a couples' break? If you're looking for the right place to spend Valentine's Day or celebrate your anniversary, or just want to get away with the one you love, here are the most romantic spots in the UK. Why not take a train ride into the past with a nostalgic journey on a magnificent steam engine? Read our guide to the best heritage railways in the UK and find out the best place to chug through some of the nation's most scenic landscapes. Want to really get away from it all? Take a look at some of the best remote locations in the UK for a weekend break. From the Welsh valleys to the Scottish Highlands, here are some places that guarantee seclusion and glorious peace and quiet.